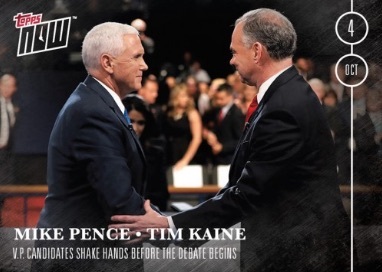 Bringing the Now brand into the political world, 2016 Topps Now Election offers the same real-time coverage as their sports and entertainment sets but geared to the battle for president. Each release is limited to a 24-hour sales period and sold directly by Topps. 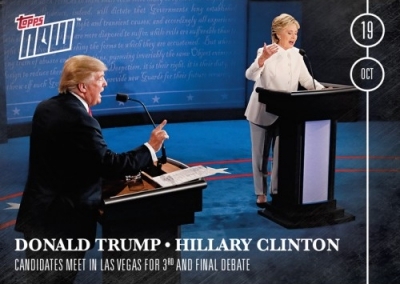 The first presidential debate marked the beginning of the on-demand release with a trio of cards documenting the night. 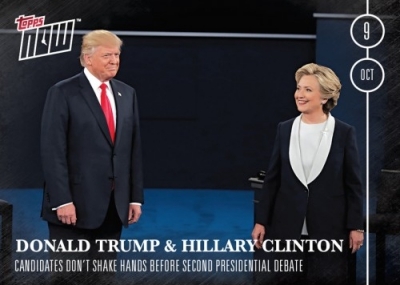 This includes a combo card with both candidates and individual offerings for Hillary Clinton and Donald Trump. Only the cards which are ordered during the selling window will be produced and the final tally will be revealed and added to this guide. 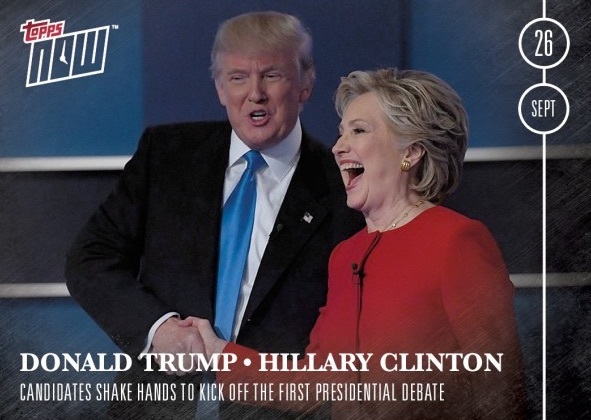 More 2016 Topps Now Election cards will added as they are released by Topps so check back. An ongoing checklist can be viewed using the tab above. 2016 TOPPS NOW PRESIDENTIAL ELECTION INAUGURATION 5 Card Set 14-18 BRAND NEW!!! 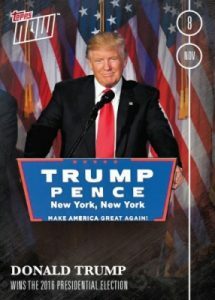 2016 Topps NOW Donald Trump Wins the 2016 Presidential Election graded Mint 9. Shop for available cards on Topps. Each card is available for 24 hours. Announced print runs will be noted below. Purchase previous releases on eBay using the links below. Does anyone out there have any idea how many and how often Topps is going to add to this set? I know the baseball NOW set has been popular, but what about the other NOW sets? Do the NOW cards maintain value, or are they falling off as time goes by? You can get NOW cards for $5.50 to $9.99 a card if you get them the first day. The price can go much higher after that. There are quite a few cards available on internet selling points. Certainly a lot more now than back in June. Is that because collectors lost interest, or are they looking to recover some of the cost they paid for the cards? 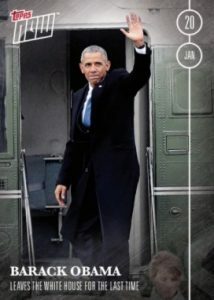 Decision 2016 Hobby Sealed 12 Box Case. 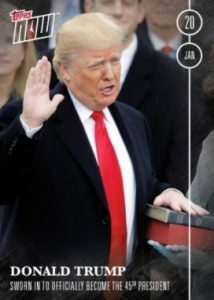 Trump Auto Possible!! !